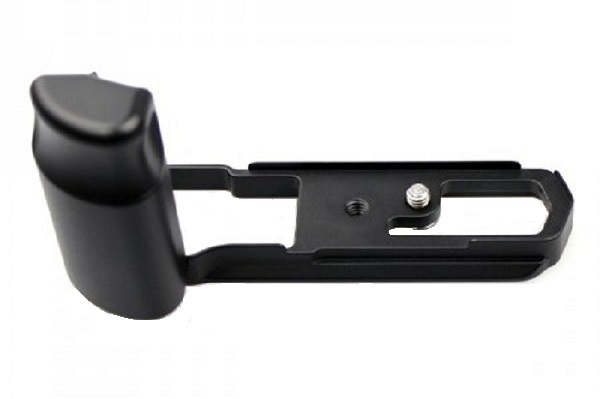 Desmond Photographic Distributors are further complementing their collection of Dedicated modular Quick Release Plates with hand Grip, by releasing their first model for the very popular Olympus OM-D E-M5 compact mirrorless camera. Should I point out that a major differentiation between the dedicated Desmond plates and most plates coming from the far East, is the design of their Arca dovetail which is compatible with almost any Arca-Swiss® compatible quick release clamp even RRS lever clamps. 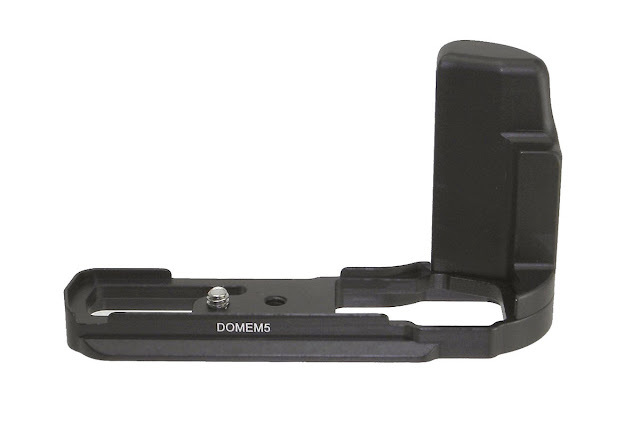 The DOMEM5 follows a two part modular design comprised of a full length base plate and a removable hand grip, which much enhances the handling of the camera with one hand. The bottom side view reveals the 1/4'-20 hex-socket but also slotted captive mounting screw, as well as the two M3 screws holding the removable hand grip in place. An 1/4"-20 threaded hole is found beside the mounting screw for direct mounting on a pod featuring an 1/4"-20 stud, without having to remove the plate. As all Desmond QR plates the DOMEM5 is precision CNC machined from solid Aircraft grade Aluminium following the skeletal design. Special attention has been paid to the dovetail width and edge radius for full compatibility with all Arca style quick release clamps including RRS Lever clamps. A 4 mm Allen hex key is icluded. 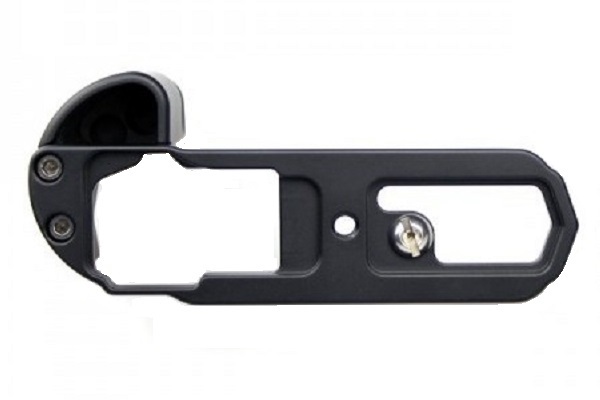 If you wish, similar L Plates with grip are available from eBay internationally.